Back in the old times, when all life was single celled… photosynthesis was invented by the cyanobacteria. This released a poisonous, toxic gas into the atmosphere that killed almost all life: oxygen. There were few ways to survive. Most of the survivors were the cells that lived in places oxygen couldn’t reach. The bottom of the ocean or other extreme environments for example. Therse were the extremophiles: the archaea, the anaerobic bacteria. Many remained there and still exist today. Not to be found on earth’s oxygen rich surface. Others though, were more clever. They survived by inventing chemical reactions that used up the oxygen. If the oxygen were used, it could not kill them, and they could continue to live on the earth’s surface and away from extreme environments. These too, still remain today. Some became the modern day aerobic bacteria. Others, we now know by another name. The third way to survive the threat of oxygen was the most ingenious… rather than invent your own chemistry to use up the oxygen… hold someone hostage who HAD found a way, and use their chemistry for your own selfish purpose. These cells engulfed some of those who had the chemistry to survive. They captured them. Made them live internally… almost as if they had become organs of their hosts. The cells who had learned to survive oxygen still continued to live though… they went generations and generations inside these host cells. The DNA of the two became intertwined and interdependent. over time.. none could live without the other. They were now one cell: the animal cell. 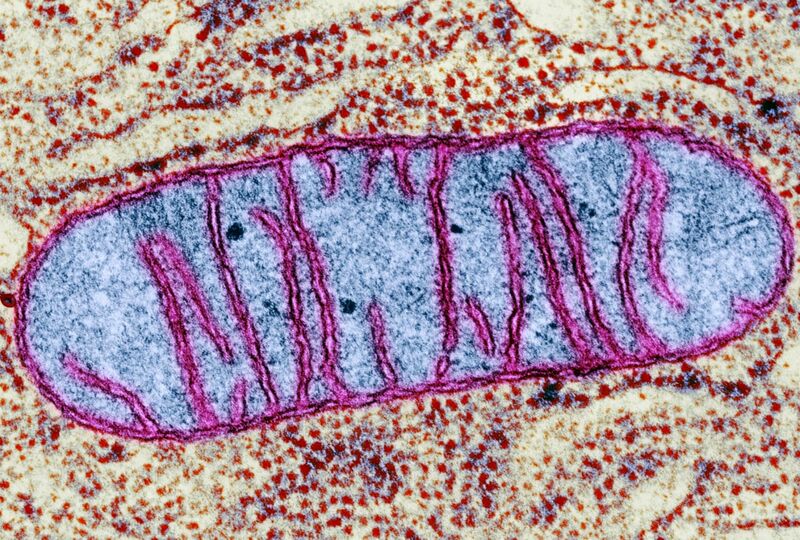 A cell which could survive the oxygen plague because of its internal hostages which used to be free roaming beings of their own: what we now call the mitochondria.